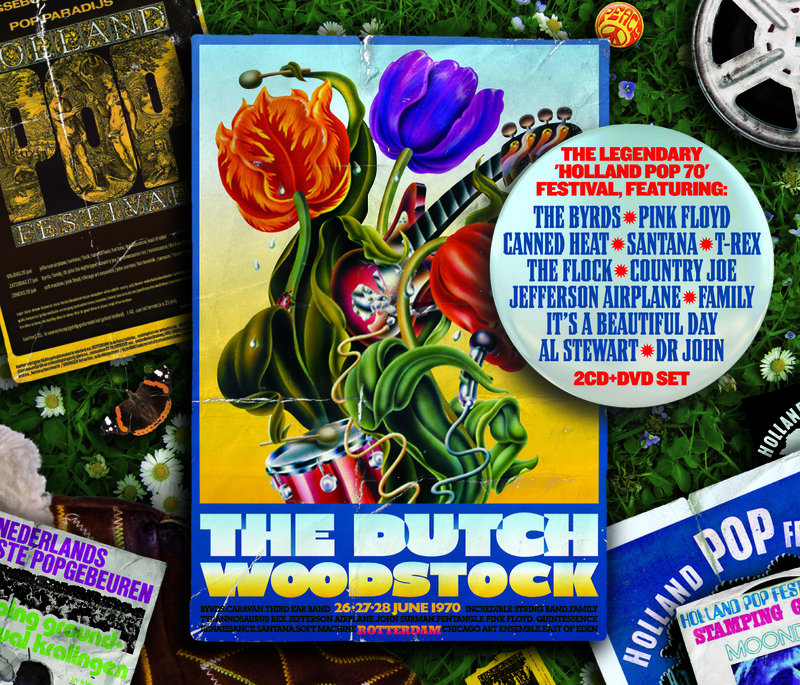 London, UK – One of the most historic concert events of the early ’70s, the Dutch Woodstock, also called the ‘Holland Pop Festival’, has now been released on a double CD/DVD set by UK’s Gonzo MultiMedia. Featuring rare and exciting performances by Pink Floyd, Santana, T.Rex, The Byrds, Canned Heat, Jefferson Airplane, Soft Machine, It’s A Beautiful Day, Family, Country Joe, Dr. John & The Night Trippers, Flock and Al Stewart, makes this extraordinary release a must for fans of music everywhere! The three-day festival was held in August 1970 at the Kralingse Bos (Kralingse Forest) in Rotterdam, and despite the rain, an estimated 100,000 people attended the astounding event! This entry was posted on Tuesday, May 21st, 2013 at 00:00	and posted in Dutch Woodstock, Press Release. You can follow any responses to this entry through the RSS 2.0 feed. « Prog Legends Flash Featuring Ray Bennett & Colin Carter To Release New CD!